Find out when players will finally be able to play this nostalgic platformer on the Nintendo Switch. Prior to Yooka-Laylee’s release date back on April 11th of this year, Playtonic announced their intentions to port the game over to the Nintendo Switch. While plans were made, no official release date was provided. Over 6 months passed, and little was spoken in terms of when Yooka-Laylee would find its way over to the Switch. Fortunately, fans have received some excellent news right in time for the holiday season. 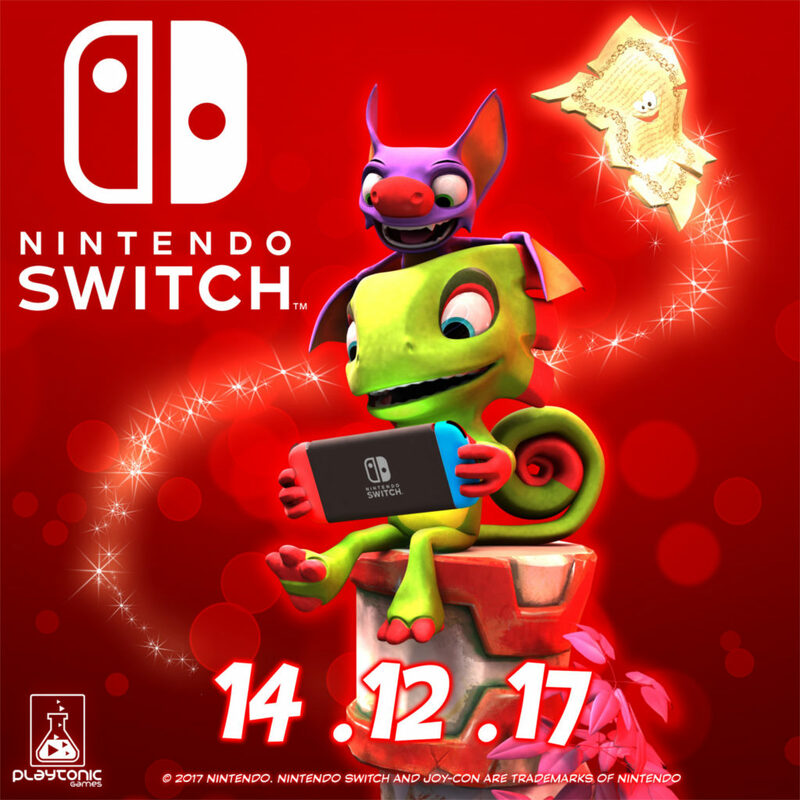 According to Playtonic’s latest blog post, Yooka-Laylee will release on the Switch on Thursday, December 14th. We also have answers as to why Yooka-Laylee’s Switch release was delayed for so long. Apparently, it’s due (in part) to various updates and improvements made by Playtonic in effort to optimize the game for the Switch. Thanks to these revisions, the Switch version of Yooka-Laylee will include single Joy-Con play across all eight multiplayer games, a new camera mode, control improvements, additional menu options, music, a custom achievement system, and more. For those who simply cannot wait until December 14th, Yooka-Laylee will also be available for pre-order starting on December 7th. What are your thoughts on Yooka-Laylee’s Nintendo Switch release date? Are you excited to play this retro-inspired platformer on a device like the Nintendo Switch? Let us know down in the comments below!